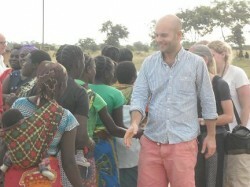 13 staff from Academic Work visited Zambia and had an opportunity to spend a night at a village and visit some projects that are being funded by Academic work. 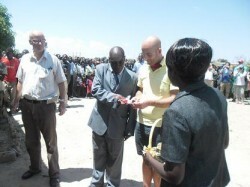 Their first stop was at Mutumbi which is 130km from the main road. After veiwing a classroom and office, they moved to Kakopa where the night was spent in tents. At Kakopa the staff had the honour to handover a staff house. The last stop was Chinkozya were a staff house was handed over to the community. dancing to express their joy. 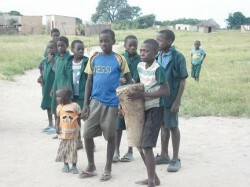 The children could not keep their joy, they also prepared their drums and songs for the event.